Happy Street Fest! Come join us in Shepherdstown today. Morgan Academy is proudly sponsoring the 2013 Shepherdstown Town Street Festival. There are artisans, musicians, and great food.  Bring the kiddies to the Morgan Academy Kids’ Camp for crafts, games, entertainment, and a ton of fun! To tie in with our studies of insects, students have been observing the life cycle of the painted lady butterfly. Reese, the first of the geese, is very well and spry this Mother’s Day. There are three additional eggs with pips and cracks. More loveable geese will be here soon! Take a gander at our goose pip! One gosling is hatching…eleven on the way! TGIF – Thank Goose It’s Friday! A FIRST PLACE win at the WV State Social Studies Fair! Congratulations to our sixth grade student for an outstanding, political science project … “One Person One Vote? NOT IN WV’s CONGRESSIONAL DISTRICTS!” The topic was redistricting in WV. Fantastic project. Fantastic student. A FIRST PLACE win at the WV State Social StudiesFair! Congratulations to our sixth grade student for an outstanding, poltical science project! Thank you to Ms. Rochelle and Ms. Amy for providing an excellent presentation about Passover. The children learned about the history of the holiday and ate many delicious items that were prepared for the Seder. (The kids’ favorite part … Ten Plagues.) It was a wonderful day and much was learned! Monday, March 25, 2013: School is closed today. Stay safe and warm.